In this rushing world everyone doesn’t have time to read the newspaper; page by page which is why we have establish user-friendly video news portal scripts. This script has added an advantage to procure as it has multi-vendor concept with supplementary categories like general news, cinema, sports, etc. This news portal helps the users and news readers to get access to day to day news at a single click of a button. 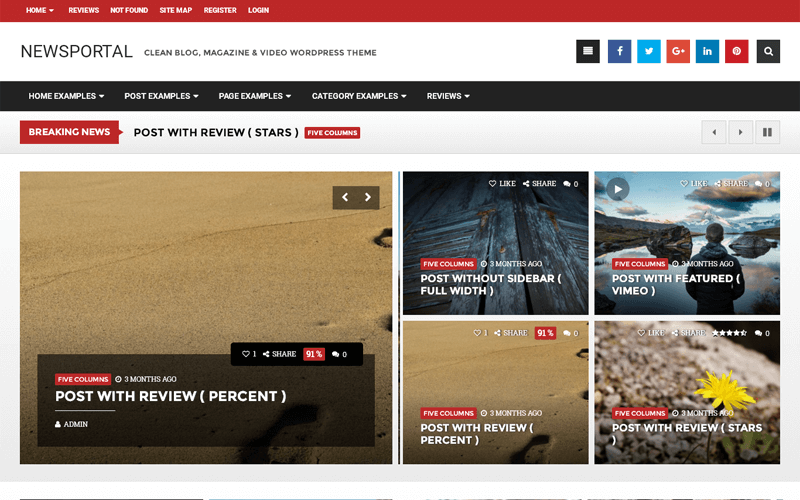 This news portal theme has many categories and sub-categories; it supports unlimited videos along with user friendly design. Apart from these categories, you can prescribe various purposes with video, magazine, video tutorial websites and video portfolio, a 100% percent responsive design and social media sharing. So you don’t have to spend much time to upload or download the video at unpredictable speeds. The greatest advantage of our video portal templates is that you can acquire through API and automatically import any video from YouTube and vimeo according to the categories and sub-categories. There are also some specialties such as Advanced CMS management, social network log-in, multi-language support, multi-currency support, membership management, PayPal payment integration, social network integration. Through admin, you can manage all the functionalities and have more revenue models via this script. You can also modify our entire script as per your wish because we were providing the full open source code. We know that getting your website to the news readers is necessary which is why we have made our script to be SEO-friendly by optimizing it in accordance Google standards. I am really happy with both the video news portal script and the customer support. The script is really beautiful with multiple pre-made layouts for different pages. Plus, the script comes with Visual Composer and Slider Revolution included – a HUGE plus which really helped me make my homepage and pages beautiful and customizable to exactly what I want. Excellent service and excellent design!! Thanks for PHP scripts mall!!! The script has everything that you can ever want in a shopping site, with great code and documentation. And the customer support is one of the best I’ve experienced on PHP scripts mall.